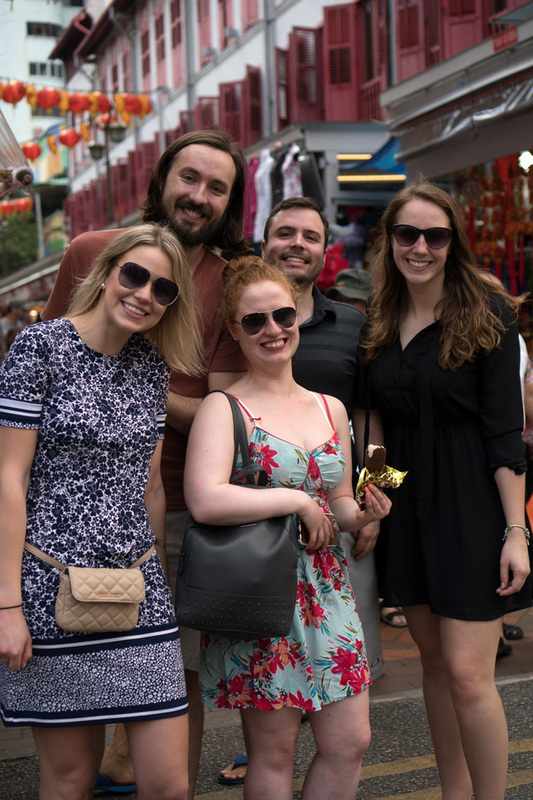 To celebrate the tenth anniversary of Karl Moore's very successful Hot Cities educational tour, the management prof. brought BComm students to Singapore, Kuala Lumpur and Langkawi. Ten years ago, Professor Karl Moore started taking BCom students and alumni to emerging cities across the world during reading week, giving them the opportunity to learn how business is done in these very different economies, in addition to networking with professionals from vastly different fields. From the start of the program in 2009, when students went to Israel, to 2012 where the program took place in South Africa, no trip has even come close to being the same, whether it be because of the location, the organizations that were met or because of the participants. To celebrate the tenth anniversary of this very successful educational tour, the destinations chosen were nothing short of breathtaking: Singapore, Kuala Lumpur and Langkawi. Upon having spent over nineteen hours traveling at an altitude of over 39,000 feet, we finally reached the first of our final destinations: Singapore. For many of us such as myself, it our first time stepping foot on the Asian continent, and consequently, our first time experiencing an extremely humid temperature of over 35 degrees. However, we quickly got used to the heat considering that all buildings in the city-state utilize high-performing air conditioning systems. We also kept in mind that our alternative back in Montreal was below zero. 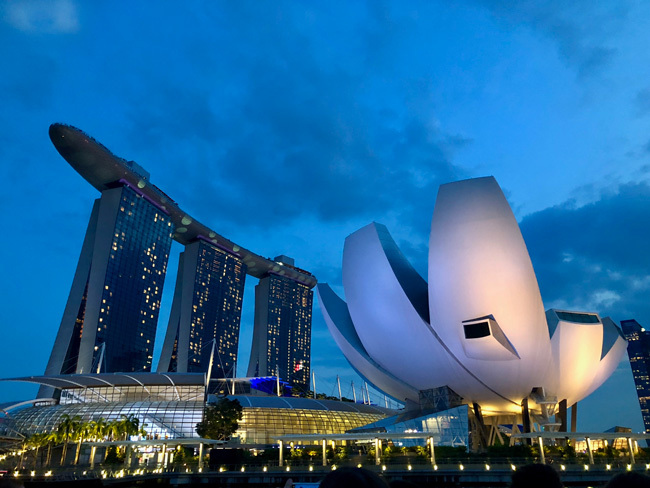 Our time in Singapore was as fast-paced as the life of locals. In the span of four days, we met with over 23 different working professionals, through visiting their offices, as well as attending a speaker panel. It was mesmerizing to see the technology presented by Microsoft, as they developed physical recognition technologies that can be adapted to an ocean of different industries, ranging from offices to marketing strategies used in malls. However, one of the highlights for most of us was meeting with Uber, who was acquired by the local competitor GRAB the week following our return in Montreal, something we had openly discussed with them during our visit. Even though admiring the city skyline from office buildings was enjoyable, visiting on our own allowed us to furthermore discover and understand the culture. In between all the captivating meetings we attended, we had time off where we got to visit some of Singapore’s must-see attractions such as Gardens by the Bay, the Botanic Gardens, the National Gallery – without of course passing up on the opportunity to sip a mimosa at CÉ LA VI, located on the rooftop of the Marina Bay Sands hotel. Only six days had passed since we left Montreal, and yet, we were already halfway done with the trip once we landed in Kuala Lumpur. Through meeting with industry giants such as Al Jazeera, Valiram and L’Oréal, we were granted with the chance to pilot a plane at CAE, which, luckily was only a simulation as all of us unfortunately crashed. During one of our nights in the city, we further entrenched ourselves in their culture, as we got to enjoy fine local cuisine at one of Asia’s top-rated restaurants: Bijan. The two last days of our trip were dedicated to reflect on our experience as a whole, and to relax prior to returning to Montreal and resuming to our everyday lives. We participated in a sunrise yoga session by the beach, alongside other activities such as kayaking and snorkeling, and whether it was planned or not, every single day of the trip appeared to be somewhat warmer than the last, the perfect lead to our island getaway! Geneviève Côté is a U3 BComm Candidate at the Desautels Faculty of Management for December 2018. This summer, she will be working as an internal management consultant intern for Bell Canada. After graduation, she hopes to continue traveling and return on the trip as an alumni.